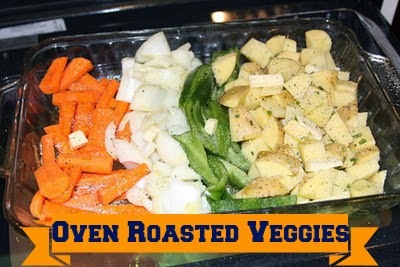 I know this is simple but we had these tonight for dinner and I don't think about them often but they are yummy, and easy. 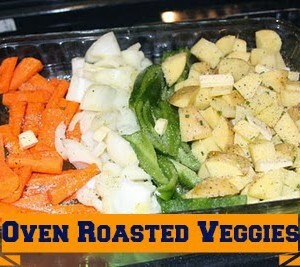 Large Carrots - 5, peeled and cut in chucks. Everything should be cut about the same size, large bites. 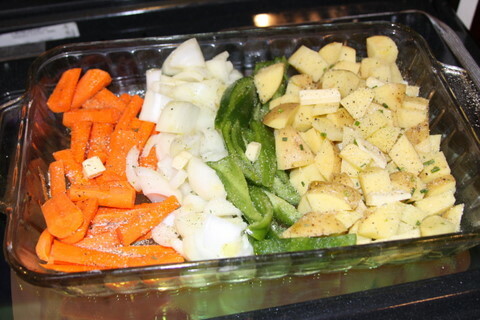 I put in a large baking dish in rows, potatoes, pepper, onion, carrots. then drizzle with olive oil, add garlic salt and pepper, and chives to the potatoes. Bake 350 for a 45-60 mins.